In August and September 1914, men rushed to join the Forces thinking that the war would be over by Christmas. Two years later, in December 1916, another Christmas approached, but there was still no sign of an end to hostilities. The thousands of casualties resulting from the catastrophic Battle of the Somme, which lasted from 1 July to 19 November, would be seared into the consciousness of the nation for generations to come. Under the circumstances it may seem surprising that, despite the horrors of war, life carried on as best it could at home in Blighty. Diversions were probably a welcome relief to grieving people. 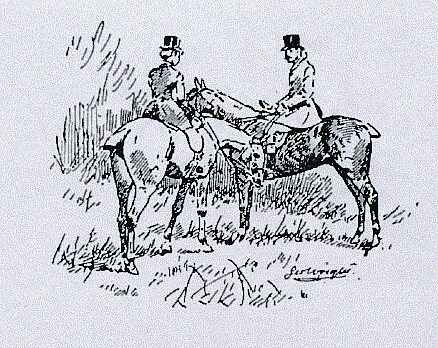 On the 12th December 1916, the York and Ainsty Hunt provided one such distraction at Bishopthorpe Palace. The local press reported that it was a rare and picturesque setting. 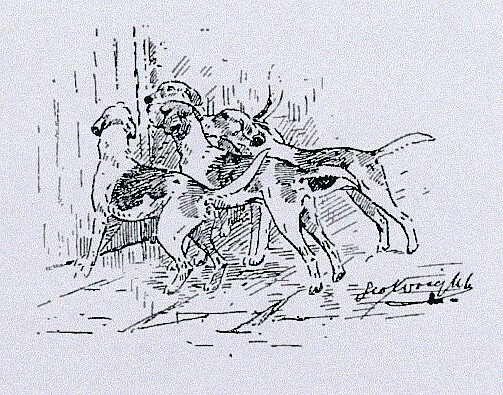 The York and Ainsty Hounds had never before assembled within the grounds of the Archbishop’s home. Adults and children alike gathered in great numbers to enjoy the spectacle. They watched as hounds raced up and down the steps of the Palace entrance where Archbishop Lang greeted his guests. But the war remained very much in evidence as numerous khaki uniforms mingled with hunting pink. Lady Furness was in command of what was considered to be the largest field of the season and included many officers who were in training at home or on leave from the front. A large proportion of those present were wounded soldiers from local hospitals. Some had arrived on foot, others by traps and motor cars lent by the local gentry. The meet also gave the opportunity of welcoming home, Captain, the Rev. Arthur. S. Crawley, Vicar of Bishopthorpe and Chaplain to the Archbishop. Rev. Crawley had recently been awarded the Military Cross for gallantry and devotion to duty; he was acting as a stretcher-bearer while bringing in wounded soldiers under heavy shell-fire. (In 1918 he was also awarded a bar to the M.C. for similar acts of bravery.) Accompanied by his wife, Rev. Crawley, who was home on leave, received hearty congratulations. After the customary glass of sherry, the field headed for Askham Bog. The sun shone through heavy clouds as the hunters cantered down Back (now Church) Lane followed by cars and traps. The chase covered ground from Dringhouses to Copmanthorpe and Askham Bryan with more than one fox found – and lost – which meant a return to Askham Bog. Apparently, there was brilliant hunting by Steeton Wood and the hounds made the best of the scent and raced on to Colton coming to a check at Bolton Percy. 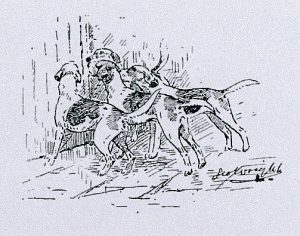 The Yorkshire Herald suggested that “…the khaki division had a great time, and the gallant heroes home on leave will have something to remember when they return to the trenches.” We can only hope that some returned to ride with the hounds after the war. Source: The Yorkshire Herald: 13 December 1916, p8. Thank you for another interesting article Linda – Whatever the circumstances “Life Goes On”! 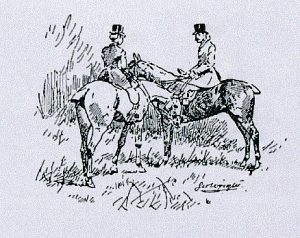 As you say, hopefully some returned to ride with the hounds after the war – whether they caught up with the fox or not.